[grow_thumb image=”http://telecareaware.com/wp-content/uploads/2016/11/jacobs-well-texas-woe1.jpg” thumb_width=”150″ /]TWTAwfulYTW for Theranos. This Editor, in her precocious childhood, was an admirer of the acerbically witty Tom Lehrer and the satirical album ‘That Was The Year That Was’. For our UK readers, he performed tunes such as ‘The Folk Song Army’ and ‘The Vatican Rag’ on the US version of the BBC’s ‘That Was the Week That Was’ (TWTWTW) and later on the BBC’s The Frost Report. Certainly, this was quite the year that was for Theranos. While Mr Lehrer is long retired from both teaching math and performing, if he were still writing, he would likely be feasting on the Bottomless Well of material that ‘From $9 bn to $9’ Theranos and Elizabeth ‘Zero Net Worth’ Holmes have provided. Perhaps he would have adapted ‘Wernher von Braun‘ or ‘The Masochism Tango‘, this last dedicated to Walgreens and the investors, ‘heart in hand’ indeed. In any case, if you are seeking a tidy abstract of TWTAwfulYTW for Theranos, Engadget has it in its year-end roundup series. If it whets your appetite for more, feast on our brace of stories, with a few flashes of Wit Among The Ashes, here. Hat tip to AliveCor’s Dr Dave Albert. Becker’s Health IT and CIO Review has written up a US-centric review of recent advances in telehealth and telemedicine but kicks it off with the confusion level between the two terms. Internationally, and in these pages, they are separate terms; telehealth referring primarily to vital signs remote monitoring, and telemedicine the ‘virtual visit’ between doctor and patient, between two clinical sites, or ‘store and forward’ asynchronous exchange (e.g. teleradiology). Somehow, in US usage, they have been conflated or made interchangeable, with the American Telemedicine Association (ATA) admitting to same, and American Well simply ‘just doing it’ in relabeling what they provide. On top of it, the two are incorporating elements of each into the other. Examples: TytoCare vital signs measurement/recording into American Well’s video visit; Care Innovations Health Harmony also providing video capability. Of particular interest to our international readers would be the high rate of US growth in telemedicine utilization from 7 to 22 percent (Rock Health survey). Teladoc, the largest and publicly traded provider, passed the milestone of 100,000 monthly visits in November and the ATA estimates 1.25 million from all providers for 2016 (Teladoc release). Other US competitors include the aforementioned American Well, MDLive, and Doctor on Demand, the latter two also selling direct to consumer. They also compete against doctor-on-house call services like Pager and Heal. Reimbursement remains an issue both privately and publicly (Medicare and Medicaid) on a state-by-state level, with telehealth experiencing significant difficulties, as well as internet access, speed, and usage by older adults. Updated. GreatCall, the older adult-targeted mobile phone/PERS company, on 20 December announced the acquisition of telecare/RPM developer Healthsense. Terms were not disclosed. Healthsense was one of the earliest developers (close after Living Independently Group’s, now Intel Care Innovations’, QuietCare) of a sensor-based residential system, eNeighbor, to monitor ADLs for activity and safety. It has been primarily marketed to senior living communities after an early start in home sales, and currently monitors 20,000 lives according to the press release. Healthsense acquired a similar system, WellAWARE, in 2013. GreatCall is best known for its older adult-targeted mobile phone line, but in recent years they have expanded into mPERS services on phone and devices, including an emergency call center. The San Diego-based company acquired the remnants of the Lively in-home monitoring system a year ago and incorporated its watch-wearables into its medical alert product line. This Editor speculates that one direction GreatCall may take is to expand into the senior community monitoring and home care business beyond mPERS. To date, GreatCall has been a highly successful, direct-to-consumer driven company which has popularized not only products to make technology simpler and more usable for older adults, but also led in a non-condescending approach to them. If the company decides to enter senior housing and home care, it presents a different and new marketing challenge, as both have been to date late technology adopters. Another concern is the cost/financial model, usability and reliability of Healthsense’s remote monitoring system. The other direction is more conventional–GreatCall could incorporate the Healthsense technology and ADL algorithms into home monitoring, with a design resembling Lively’s original self-installed, attractively designed in-home telecare system. Minnesota-based Healthsense in 15 years of operation raised what some would term a paltry $46 million of equity and debt financing in ten rounds (Crunchbase). Over this time, Healthsense’s investors were a small group, including New York-based Radius Ventures, Mansa Capital, West Health and Fallon Community Health Plan. After the $10 million venture round in 2014, the last investment was a small $2.6 million in February. Early investor Ziegler HealthVest Management, which purchased a significant interest in 2007, is not listed in Crunchbase’s roster, though one of their senior financial managers is on their board. This Editor senses (sic) that the investors were seeking to exit after a long time in. An independent 12-month study with Fallon Health (an investor–Ed.) found that using Healthsense remote monitoring in connection with Fallon’s model of care for seniors reduced total medical expenses by $687 per member per month — a nearly 16 percent reduction for pilot members as compared to a control group. The Fallon population using Healthsense demonstrated a 32.2 percent reduction in fees for inpatient hospital visits, a 39.4 percent reduction in emergency department costs and a 67.7 percent reduction in expenses for long term care vs. the control during the year-long study. [grow_thumb image=”http://telecareaware.com/wp-content/uploads/2012/12/crystal-ball.jpg” thumb_width=”150″ /]The first in a series of brief projections for 2017. Fitness wearables aren’t even lukewarm anymore, and it’s visible in consolidation and the nay-saying articles. In late November, Fitbit bought one of the pioneers, Pebble, for a cut price of $40 million (TechCrunch). Fitbit shares are also cut price at below $7.50, whereas the 2015 IPO debuted at $50. Editor Charles’ favorite, Jawbone, is moribund; the springtime rumors of company sale and shutdown of the fitness band line have not been contradicted since [TTA 27 July]. Research/analytics company CB Insights calculated that 2015 wearable computing (a broader category) investment funding fell 63 percent from 2014 to a level comparable to 2012-13, in large part due to the cooling of the fitness segment. A sure sign that fitness bands have chilled is negative play in the consumer press. ‘My fitness band has made me fat’, spun off the JAMA article [TTA 28 Sep], is now the theme of hilarious ‘dieters gone wild’ articles like this from the New York Post (warning, eye bleach photos!). But The Sun (UK) waves a warning flag that the information could be sold, sent to your employer or insurance company to profile and/or discriminate against you, or cyberhacked. All this can knock a pricey band off the Christmas shopping list. And no, it hasn’t shifted to smartwatches as most insiders predicted, as smartwatch sales have leveled off–as expected–until their functionality and appearance improve to justify their high price. What’s in our crystal ball? Clinical-quality and specialized wearables will rise from these ashes. Doctors are simply not interested in the current poor quality of data generated by current wearables–‘it’s worthless, Jim!’ ZDNet’s much-discussed article on this subject paradoxically stresses this, then focuses in on the clinical quality data generated by startup VivaLnk’s eSkin for temperature and stress. Clinical quality data is what is required for a health and wellness research partnership like the one recently announced by RTI and Validic. Industry buzz is that Fitbit bought Pebble for its better IP, apps and stable of developers, not its smartwatch hardware, and that IP includes clinical quality measurement. Other biosensor companies on the rise according to CB Insights are Thync, Thalmic Labs, YBrain and mCube. In specialty wearables, there’s the recent funding success of Owlet, the High Cute Factor baby monitor sock. Lifebeam transfers multiple sensing technology to helmets and hats for richer data. And if sensor patches develop with speed, in two to three years they may eliminate all of these! [grow_thumb image=”http://telecareaware.com/wp-content/uploads/2016/12/JC-with-VGo.jpg” thumb_width=”150″ /]Guest contributor JC Muyl attended the PCHA Connected Health Conference last week and contributed his thoughts on the event. Last week I drove down from NYC to spend an afternoon at the Connected Health Conference (#CHC16) at the Gaylord Convention Center outside DC. The majority of my time was spent in the exhibit hall meeting digital health vendors. The most represented category was patient engagement solutions, probably as a function of the conference itself. Also, when you think about it, a proliferation of proactive patient engagement solutions makes sense in the context of value-based payments. What I like about patient engagement is that it has applications across multiple segments (payers, providers, employers, etc.) which means a bigger market. I met with the folks at Fitango Health (customizable care plans & member engagement), CareWire (member engagement via text), PokitDok (a development platform for care management / patient engagement), Utila (a text-based behavior health engagement solution) and Dacadoo (a cool health score app for patients based on proprietary algorithms). Dacadoo was the play that felt most natively consumer-centric, especially because the user is able to track their health score in the app. The other solutions were for providers looking to manage and interact with patient populations. I like the notion of designing these products from the standpoint of how consumers want to navigate their healthcare experience. In telehealth, I visited SwyMed, a ruggedized telehealth kit for emergency workers (makes a lot of sense), and VGo (see left above), a friendly-looking telehealth assistant that combined a Segway with a camera and a screen. They demoed how they could remotely drive it to the patient for a telehealth consult. I really think this product has legs…well wheels, actually! Seriously, it made me wonder how soon until we use drones to deliver meds & pick up samples? I was surprised by the number of international companies: Medelinked from the UK, EarlySense from Israel, Voluntis from France, Dacadoo from Switzerland, most with a local presence here in the US. These foreign companies are usually pretty big in their home country, with a (clinically) proven product, yet are approaching the US market with the agility but also possibly the financial needs of a startup. I bet they would make good prospects for investors. Just before the signing ceremony of the 21st Century Cures Act in [grow_thumb image=”http://telecareaware.com/wp-content/uploads/2016/12/Barack_Obama_signs_2013_inauguration_proclamation-cropped.jpg” thumb_width=”150″ /]the South Court Auditorium of the Eisenhower Executive Office Building President Obama made special mention of his Vice President Joe Biden and his wife Jill who had spoken of the death of their son due to cancer. Obama also mentioned his own mother who had also died of cancer when she was two and a half years younger than he was himself now. The Act provides $1.8 billion for cancer research according to the Washington Post although the allocation is for biomedical research and is not specifically for cancer research. What was unsaid at the ceremony was that the Act also has a section on telehealth. The telehealth section of the act requires the Centers for Medicare and Medicaid Services (CMS) to report within one year to Congress on populations of Medicare beneficiaries whose care may be improved by expansion of telehealth services. CMS is also asked to report on the telehealth related work already funded by CMS Innovation, make suggestions on the type of services which might be suitable for telehealth and indicate barriers to expansion. The Medicare Payment Advisory Commission (MedPAC) is asked to identify, by March next year, services for which payment is available through private health insurance plans but not under Medicare. MedPAC is then asked to recommend how to incorporate these into Medicare. These measures look to expanding the role of and accessibility to telehealth for Medicare beneficiaries. Further, a note entitled “Sense of Congress” states that “It is the sense of Congress that eligible originating sites should be expanded …”. However, unlike the key elements of the 21st Century Cures Act, such as biomedical research, no specific funding has been allocated for the implementation of any telehealth related recommendations. 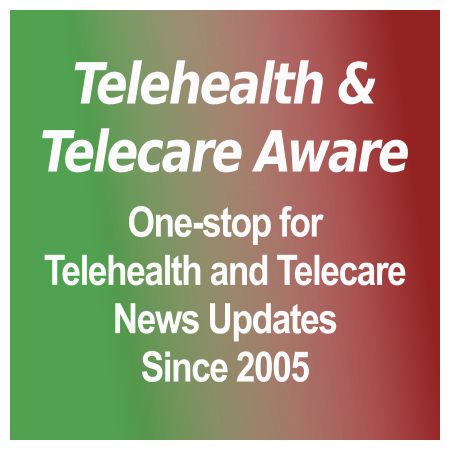 Although some optimism has been expressed about the expansion of telehealth as a result of this Act (see, for example, comments from URAC in HIT Consultant and Healthcare IT News. ), with the lower priority on health that is possible from the incoming Trump administration, only time will tell if such optimism is justified. [grow_thumb image=”http://telecareaware.com/wp-content/uploads/2015/04/Scanadu-Scout.jpg” thumb_width=”150″ /]UPDATED December has been a mense horribilis for Scanadu, what with bricking the Scanadu Scout next year, missing the Qualcomm XPRIZE finals and a low equity raise. Scanadu Scout heading to Doorstop and Paperweight-ville. This all-in-one diagnostic device, which promoted itself as a tricorder worthy of Star Trek‘s Bones, announced on 13 December that on 15 May next year, it will deactivate all units. (What Bones would say: “It’s dead, Jim!”) Users of this admittedly investigational device who purchased it for $200 starting in 2014, glitches and all, [TTA 5 Apr 14], are facing not only that it will ‘cease to function’ but also presumably the loss of access to their data as well. A Scanadu spokesperson to TechCrunch last week (13 Dec) attributed the action as necessary to comply with FDA regulations requiring investigational use devices to be deactivated at the end of the study. Mobihealthnews reported on Sunday 18 December that Scanadu completed an additional $6.5 million equity funding, according to a SEC filing. Investors are not disclosed. The funding dated 7 December is considerably less than their $35 million Series B raise, primarily from Chinese VC investors, back in April 2015 which is the bulk of their now $56.1 million funding to date (CrunchBase). It is hard to interpret this one way or another, but MHN’s Jonah Comstock doesn’t hesitate to relate it to both the Scout bricking and the XPRIZE loss. To this Editor, it’s either conservative or like a line of credit, but why now, and not what you expect after a healthy Series B. [grow_thumb image=”http://telecareaware.com/wp-content/uploads/2016/12/smartflow-meter.png” thumb_width=”150″ /]A UK-based startup, Smart Respiratory Products, has successfully Kickstarted its smartphone/tablet-based peak flow meter and app with a total pledge to date of £11,322 (just over $14,000). Targeted to asthmatics, the meter plugs into the 3.5 mm audio jack (left). Like a standard peak flow meter, the user blows into the Smart Peak Flow meter, and the measurement is sent to the app, available through the Apple Store and Google Play. The measurement must be taken in a well-lit area, as the ambient light is chopped up by a photo sensor at the bottom as the patient’s forceful breath passes through a fan. The flashing signal goes into the microphone as a sound file. The app measures the force of breath and charts it. It also engages the user through challenges, “personal bests” and winning streaks. There are also virtual badges awarded and snappy ‘earned quotes’. Those who take the ’90 Day Challenge’ of daily use receive an inhaler monitor, a cap that transmits to the phone when the inhaler is used. Smart does not mention other respiratory uses for the peak flow meter, such as COPD. 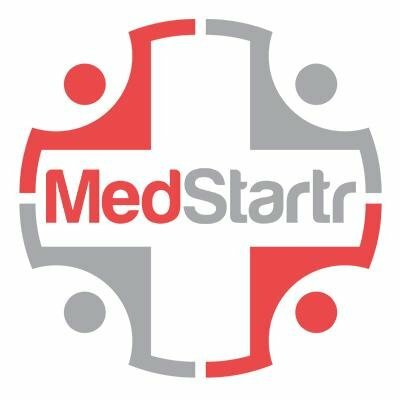 According to MedCityNews, the company plans to complete its 510(k) and CE Mark applications by mid-2017. They will ship IFU prototypes to its Kickstarter supporters in February. The pricing on Kickstarter for the device is £10 with deluxe versions starting at £16. MedCityNews also noted that Sparo Labs’ Wing, which we profiled in November 2015, gained its FDA clearance in June but is at a $129 price. Founder Thomas Antalffy of Smart: “I have spoken to pharmaceutical companies, and the dream for me would be to include Smart Peak Flow or the smart inhaler with every box of inhalers people buy.” At his prices, it might be possible. Initially, the service will target video call access to up to 50 health care providers including primary care, specialist services, speech and language therapy as well as pharmacy prescription reviews. According to Attend Anywhere, the service is available now to Scots in both rural and metropolitan areas. The service was developed as part of a collaboration between NHS Scotland’s Technology Enabled Care (TEC) Programme, Melbourne Australia-based video consulting specialists Attend Anywhere, and Healthdirect Australia, supported by NHS 24 Scottish Centre for Telehealth and Telecare. The press release links to a video of the consults in use in western New South Wales, including a care home. Scottish Centre demonstration site, Scottish Digital Health Week page. Hat tip to Chris Ryan of Attend Anywhere Australia for the original articles and corrections. His LinkedIn post here shows the Scottish Centre’s table at the conference. Guest Editor Sarianne Gruber (@subtleimpact) continues her interview of Mandi Bishop, founder and Chief Evangelist of Aloha Health. Ms Bishop’s goal with Aloha Health is to put the ‘patient as person’ into the present healthcare model. Ms Gruber interviewed Ms Bishop at #MedMo16 where Aloha Health won the People’s Choice award in the Equity Crowd Challenge. The first half of the interview was previously published in Part I. How does Social Determinants Of Healthcare (SDOH) data relate to me as a patient? Bishop: SDOH attributes are available both the individual patient level and a “high propensity that this is you” level via micro-segmentation. Optimally, there will be personalization of information where personalization is possible and micro-segmentation profiles for when it is not. Also, we are not trying to give the doctor more data since we think that is a big part of the problem. “What about your lifestyle” matters which respect to you as a patient, and we at Aloha Health convert that data into insights. When the doctor pulls up an encounter, based on our models, the EHR is populated with the insights that are available about you and your conditions. As a workflow example, I pull up your encounter. Aloha then pings the Aloha insights section and gets all this information about you. This is the use case we are going after: a diabetic patient and this is the demographic information we are going after about that person. Pertinent and clinically relevant information would be pulled up about you and on your profile. We are only showing things that matter. The fact that you are a 40-year woman is information the doctor already knows. But the fact that you are a single mother, who just got divorced 3 weeks ago, is caring for an elderly parent, and has all of these other “things”, all of these “things” would influence your ability to have an insulin pump. A new project to produce smart technical solutions to increase possibilities for the elderly to live at home [grow_thumb image=”http://telecareaware.com/wp-content/uploads/2016/12/Couple_sitting_at_a_table.jpg” thumb_width=”150″ /]without being dependent on children or in-home care has been launched in Europe. The collaborative project named FRONT-VL is led by the Swedish mobile phone operator TeliaSonera and has 21 contributing organisations working within the industry-driven European research initiative “Celtic Plus”. The project is based on the premise that by enabling elderly people to live at home for as long as possible a good quality of life can be maintained while at the same time reducing care costs. The project proposes to develop predictive health related end-user services in fall prevention, mental health, rehabilitation and palliative care using machine learning and “big data” analysis together with IoT based data acquisition. FRONT-VL has a budget of 7.2 million Euros and is due to run for 3 years beginning next month. The funding caters for just over 55 person-years of effort over the three year period. The key innovations of the project will be in two areas. First will be to create a common service delivery framework able to provide Information Computing and Telecommunications based home care and health services to end-users and care professionals. Second is automated data collection to enable peer-to-peer learning and knowledge transfer. The Celtic Plus initiative defines, performs and finances research projects in telecommunications, new media, future internet and applications and services. It is part of the wider Eureka Network that facilitates R&D projects across Europe. Guest Editor Sarianne Gruber (@subtleimpact) reviews how one of the #MedMo16 Crowd Challenge winners, Aloha Health, has the ambitious goal of putting the ‘patient as person’ into the present healthcare model. They aim to provide and integrate into the patient record social factors and the context of everyday life, including environmental factors. “The need to see patients as people is very real. It is an ideal that will drive healthcare transformation.” Mandi Bishop (@MandiBPro) Founder & CEO of Aloha Health (@Aloha_Health). What makes Aloha Health “unique” as a healthcare data and analytics company? Bishop: Aloha Health was designed with a singular mission – to allow providers, care managers, and people who are participating in the patient’s care to “view” a patient as a person. All contextual information about “you” is what makes you unique. This view of “clinically relevant social determinants” is important because it impacts your ability to manage your health on many levels such as your ability to follow instructions, how you interpret information, who you trust and how you engage. It is really important because we [providers] are all pressed for time. We are already seeing the patient revolution and hearing a lot of talk about engaging patients. Aloha Health is providing an opportunity to see patients as people without imposing additional time. We give you specific insights to help you see your patients as people. How do see non-clinical insights adding value to value-based care metrics? Bishop: As our industry moves from volume to value and from fee for service to more programs like comprehensive joint replacement and bundled payment methodologies such as ACO models. These types of shared savings programs involve shared risk. When you have a capitated payment structure where you are being asked to manage the care of an entire population, including people with a set number of funds. Obviously, you have to find ways to be very effective in that care delivery. You have to understand all the things about that population, and each patient as an individual to help him or her to help themselves become healthier. In turn, this saves money for organizations through improved health outcomes. What types of data would be considered as the “other 95 percent”?